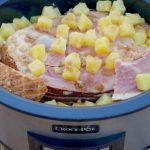 This Crock-Pot® Slow Cooker Pineapple Ham Recipe is so yummy and plentiful that you could actually freeze left overs for later meals to save you time and money. When it comes to multi-tasking in the kitchen, I can pretty much balance a feast! I can mash, simmer, toast, toss, arrange, and pour drinks all at the same time; unless… I’m sweating! Not the pretty flushed face, rosy cheeked, glistening that we all like to think we do. Seriously, kitchens get hot! The trick to staying sane in the kitchen is prep work and avoiding the oven whenever you can! (and mostly good friends and the ability to laugh at yourself) Two days before holiday meals, I start baking and chopping. Everything that needs washed and diced gets done ahead of time. When I need cornbread for the dressing, a cup of chopped celery, onions, or even sliced bell peppers for the relish tray- they’re ready to go in baggies (that I promise you I feel only slightly guilty about throwing away.) My eggs are boiled and peeled too. Avoiding my oven is the hardest part. However, I know all Summer long I used my Crock-Pot® Slow cooker for just that purpose, and it’s saving my sanity again! 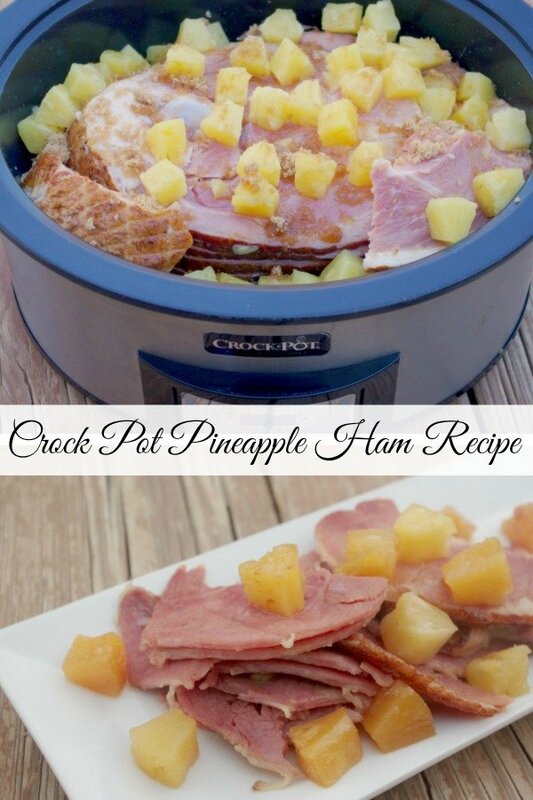 This year I’m making this Crock-Pot® Slow Cooker Pineapple Ham Recipe, and I’m saving my sweat induced meltdown for another year. I cannot stress how much I love a quick and easy dinner, or in this case a holiday meal. 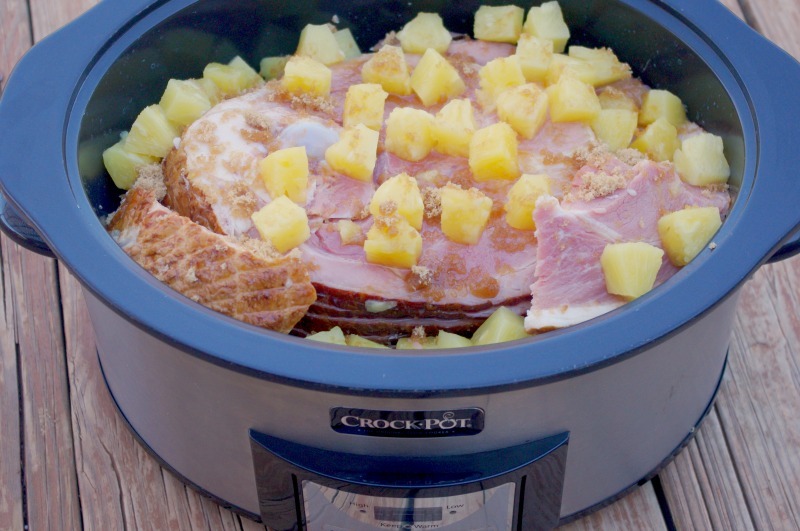 Crock-Pot® Slow Cooker Pineapple Ham turns out perfectly sweet and beautiful. You can find additional Crock-Pot® Slow Cooker recipes here. This Recipe is part of our Aldi Five Day Slow Cooker Meal Plan. Sprinkle 2 1/2 cups of the brown sugar in the bottom of your Crock-Pot®. Place the ham on top of the sugar. If your ham is too big for the lid to fit just trim off some off of the top and place along the sides. Sprinkle the remaining 1/2 cup of brown sugar on top of the ham. 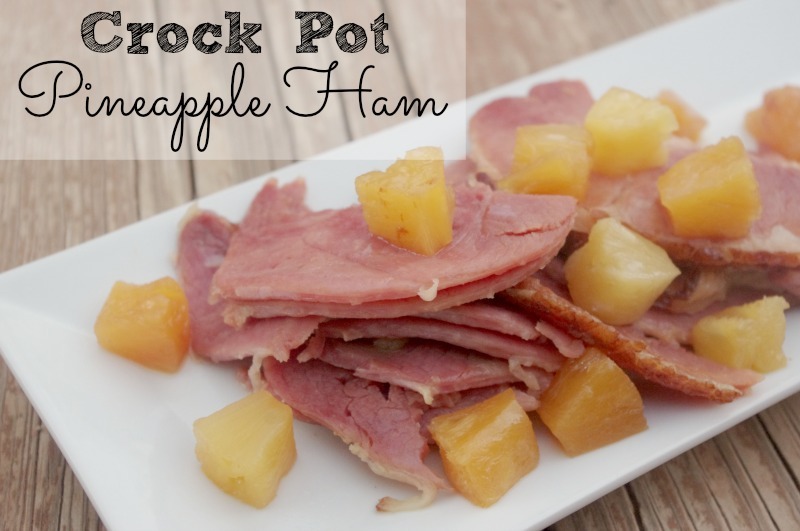 Pour the pineapple chunks, juice included, onto the top of the ham. 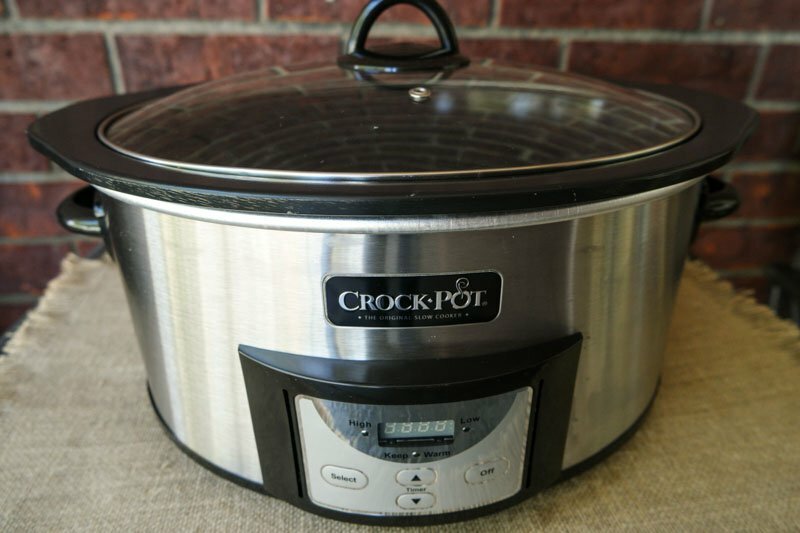 Place the lid on your Crock-Pot® and cook on low for 6-8 hours. Need some inspiration for a side dish for this recipe? See 25 Side Dish Recipes Here! 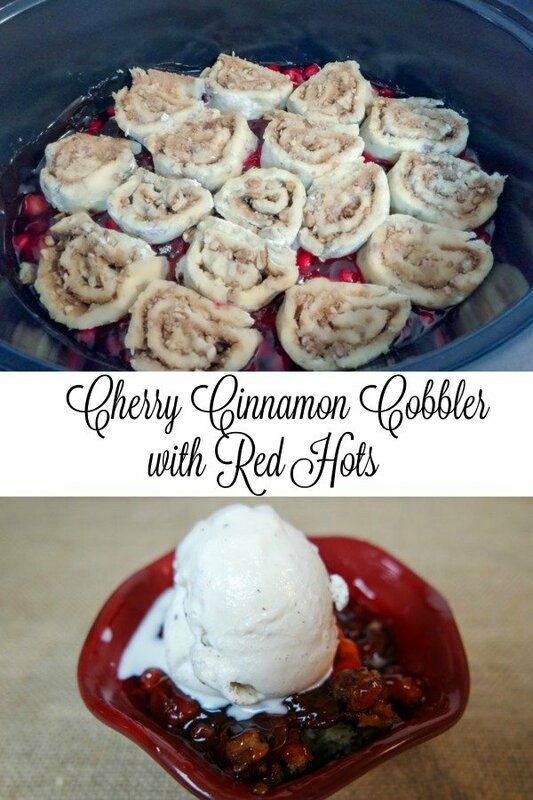 This Slow Cooker Cherry Cinnamon Cobbler with Red Hots is Nana’s family recipe and one of my husbands favorites. 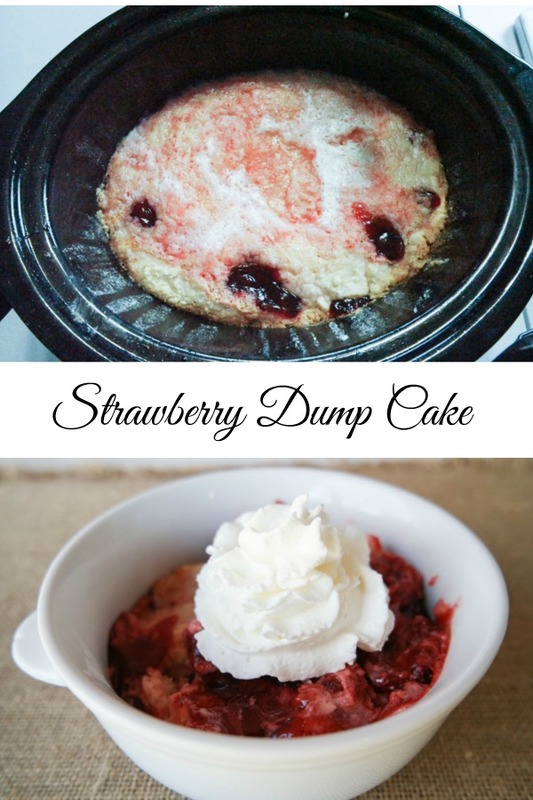 This Strawberry Dump Cake is so easy to make that it’s become a staple for me to take to parties where I need to bring a potluck recipe. 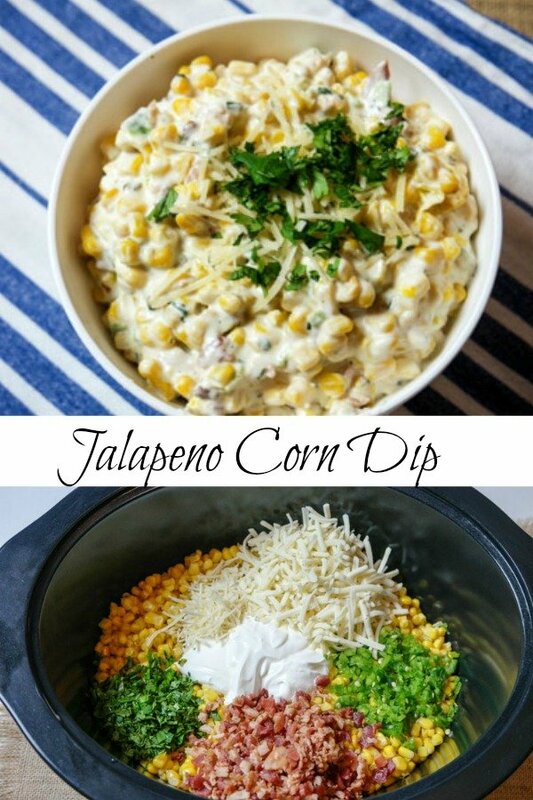 This Jalapeno Corn Dip is perfect for Football parties and so easy to make. It’s my most requested recipe at all of our church fellowships!